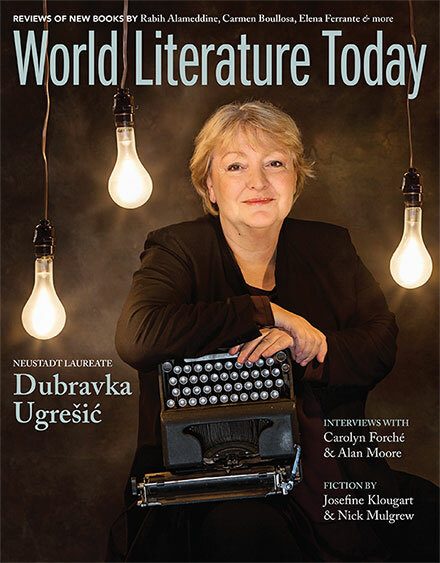 Over the past three decades, Dubravka Ugrešić (dubravkaugresic.com) has established herself as one of Europe’s most distinctive novelists and essayists. From her early postmodernist excursions, to her elegiac reckonings in fiction and the essay with the disintegration of her Yugoslav homeland and the fall of the Berlin Wall, to her more recent writings on popular and literary culture, Ugrešić’s work is marked by a rare combination of irony, polemic, and compassion. Following degrees in comparative and Russian literature, Ugrešić worked for many years at the University of Zagreb’s Institute for the Theory of Literature, successfully pursuing parallel careers as both a writer and a scholar. In 1991 when war broke out in the former Yugoslavia, Ugrešić took a firm antiwar stance, critically dissecting retrograde Croatian and Serbian nationalism, the stupidity and criminality of war, becoming a target for nationalist journalists, politicians, and fellow writers in the process. Subjected to prolonged public ostracism and persistent media harassment, she left Croatia in 1993. In an exile that has in time become emigration, her books have been translated into over twenty-five languages. She has taught at a number of American and European universities, Harvard, UCLA, Columbia, and the Free University of Berlin among them. In addition to the Neustadt Prize, she is the winner of several major literary awards including the Austrian State Prize for European Literature (1998) and the Jean Améry Essay Prize, awarded for her essayistic work as a whole (2012). She was also a finalist for the Man Booker International Prize (2009), and Karaoke Culture was a finalist for the National Book Critics Circle Award for Criticism in 2011. Ugrešić lives in Amsterdam.